Country music star Jason Aldean saw "pandemonium" unfold around him as a gunman shot hundreds of people watching his concert at a music festival in Las Vegas last month, the singer said in his first on-camera interview since the massacre. Aldean appeared on the "Today" show Tuesday to share his memories of the shooting at the Route 91 Harvest Festival on Oct. 2, which he thought at first was a speaker blowing. Then he heard the burst of crackling again. "When I turned to look, my guitar player had run behind me and was telling me to move, to like, 'Let's go," and my security guy was on stage telling me to run," Aldean said. Soon, people were screaming amid a general panic. 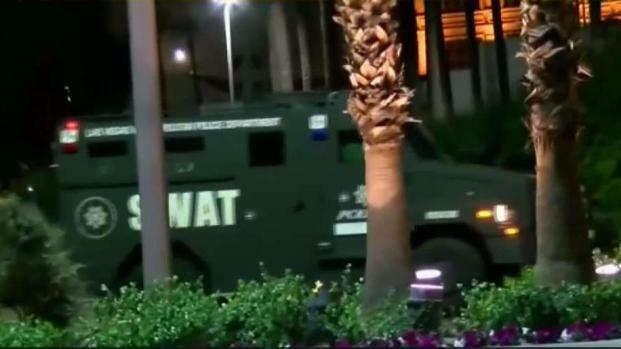 No one on stage was hurt, but the gunman would kill 58 people and wound hundreds more over several minutes from his perch in a nearby hotel. He would take his own life. Musician Carlos Sosa was in a lounge area when he heard what many people thought were fireworks. Video broadcast Monday Oct. 2, 2017 on Today in LA. "I think everybody just kind of panicked and didn't know where to go or what to do," Aldean said. Other country stars spoke to "Today" about the shooting, saying they were texting Aldean to make sure he was okay. Aldean flew home to see his daughters. A week after the shooting, Aldean appeared on "Saturday Night Live" to perform Tom Petty's "I Won't Back Down" — Petty had died that week — and released a recording of the song to benefit the Direct Impact Fund, which supports victims of the shooting. The musicians had a similar message to share as they think about performing again. "We're not going to live in fear," said Hillary Scott of Lady Antebellum. Aldean said, "We're all going to try and move on and I have to do that as well, but it's something that I'll never forget. ... I hope it gets better for everybody as time goes on." 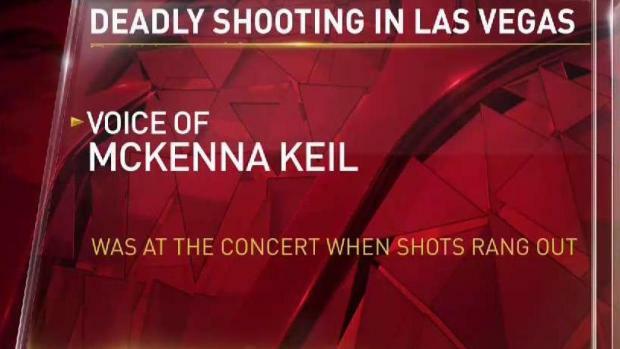 McKenna Kiel, who attended a concert where a gunman killed more than 50 people, calls into NBC 5 to discuss the incident. And Aldean urged people to stop arguing about politics — the shooting sparked a new round in the debate about guns — collaborate on issues and remember that we're all Americans.